President Obama's executive amnesty will enable millions of illegal immigrants to collect billions in tax credits once Obama's plan is fully implemented. Currently illegal immigrants already collect more than $4 billion in tax credit payments every year. A 2011 IRS Inspector Generals report found that "individuals who are not authorized to work in the United States" collected $4.2 billion in Additional Child Tax Credit payments in 2010 alone. The ACTC is the refundable portion of the Child Tax Credit available to all tax payers. Refundable credits are payments from the U.S. Treasury to a tax payer when the value of a credit exceeds the amount of taxes a person owes. Even before Obama's latest amnesty program, millions of illegal immigrants already paid federal taxes to the government using Individual Taxpayer Identification Numbers. 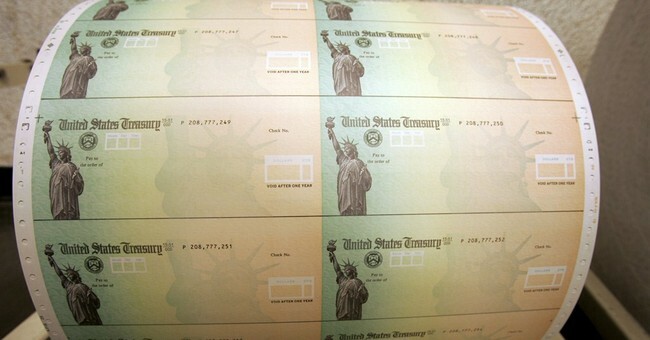 It is these ITINs that illegal immigrants already use to claim billions in ACTC checks from the government every year. However, thanks to a 1996 law, the IRS is not allowed to give Earned Income Tax Credits to anyone without a Social Security Number. But many illegal immigrants will now be able get a SSN through Obama's amnesty program. After it is fully implemented, therefore, the IRS will be giving out EITC payments to millions of currently illegal immigrants. And just how many billions in tax credit payments are we talking about? The EITC program is much bigger than the ACTC program. About $62 billion was spent on the EITC in 2012 compared to just $26 billion on the ACTC. And while the average refundable ACTC payment is about $1350, the average refundable EITC payment is about $3,000. That means that while the federal government currently pays illegal immigrants about $4 billion through the ACTC program, they are almost certain to pay illegal immigrants almost double that through the EITC program. So not only will many illegal immigrants not being paying taxes under Obama's amnesty program, they will, in fact, be getting checks from U.S. taxpayers instead.